" ENJOY THE RIDE "
This All-terrain manual wheelchair by Mountain Trike enables accessibility for everyone. 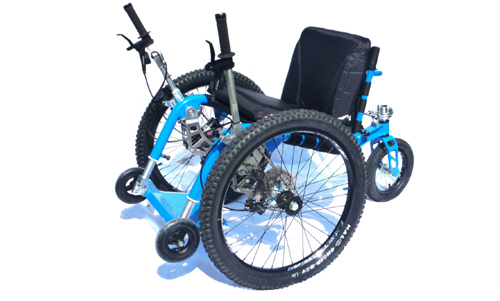 The Mountain Trike is an all-terrain manual wheelchair which has been designed using a masterful blend of unique innovation and drive system with high specification mountain bike technology. 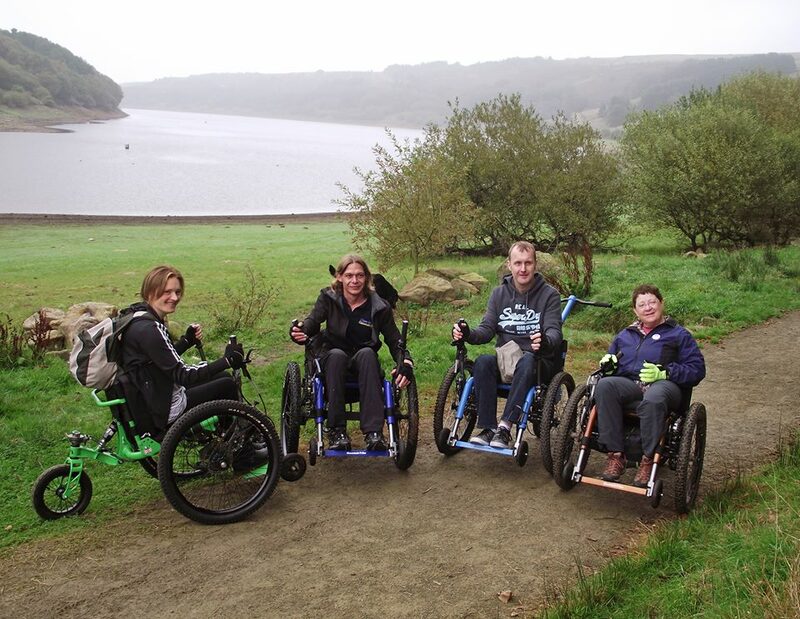 It provides wheelchair users with far greater freedom and independence than ever before to travel off the beaten track and has been designed to tackle woodland, mountain bike tracks, beaches, nature trails and hills. No other manual wheelchair on the market provides comparable high level of manoeuvrability and uneven surface performance, practicality and comfort. As the trike name implies this wheelchair has three wheels : the back wheel is where the steering takes places which provides excellent control at high and low speeds and the rider can opt for left or right hand steering. 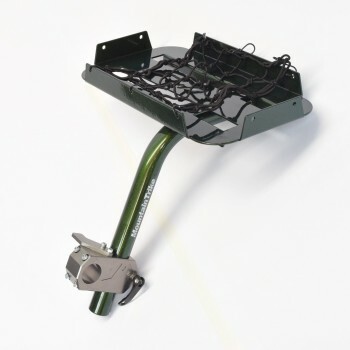 The revolutionary lever-drive system allows the rider to propel the chair without touching the wheels so despite mud or wet ground the unique drive and steering system means hands stay clean and dry. Whether its just a trip to the shops, a ride in the woods or a beach holiday with the family, the Trike is so versatile and easy to manoeuvre it will enhance you and your family's life experience. Looking for adventure? If you want to go just that bit further Mountain Trike can take you there. Using proven Mountain Bike technology, the Trike can tackle any terrain from snow and ice to deep mud and sand- even Mount Snowdon and Ben Nevis! The Mountain Trike fits perfectly with an active, healthy lifestyle. 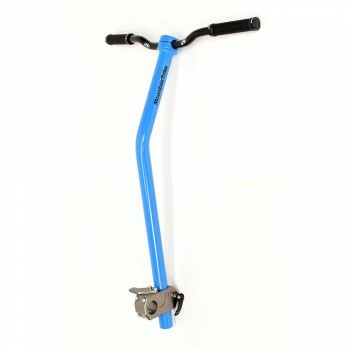 The unique lever drive takes the strain off joints and provides a great upper body workout in comfort. Plus its so much fun to ride you’ll be clocking up the miles in no time! The Mountain Trike is THE all terrain wheelchair which is now well proven as the leading product in this aria. It's versatility and off road performance is unrivalled, giving riders an amazing feeling of freedom an independence. Riding a Mountain Trike is an excellent form of exercice, working all the muscles in your upper body rather than just your shoulders. So you have decided that the Mountain Trike is just the thing for getting you out and about outdoors. Fantastic ! You're about to become part of a fast growing community of Trike lovers ! - The Mountain Trike and its accessories are zero rated for VAT when purchased by a wheelchair user or charity so no VAT is added to the $7695 price. - We do also provide other special adaptations if required, e.g. higher seat backs for additional support or modified footplate adjustment. Contact us to discuss your needs. - If you decide to change brake setup at a later date this can be carried out easily by any bike shop or by contacting us. 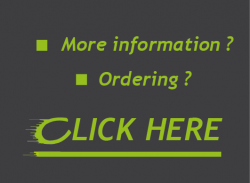 A full payment is required when you place your order. You will then receive confirmation with your unique Trike number. We have an 8-10 week build time and aim to send phot updates as you Trike is built. 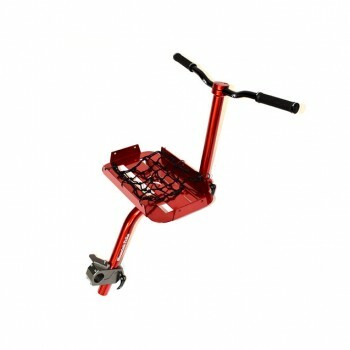 When your Trike is finished we'll send you a photo of it and you can settle the final balance. We'll then dispatch the Trike to the confirmed delivery address. Spokes'n Motion and Mountain Trike are excited to announce that will be creating the opportunity for persons who want to experience the Mountain Trike at different locations throughout the USA. These centers will offer you the opportunity to try the Trike supervised by a fully accredited Demonstrator who can talk you through the features and operation while you ride. 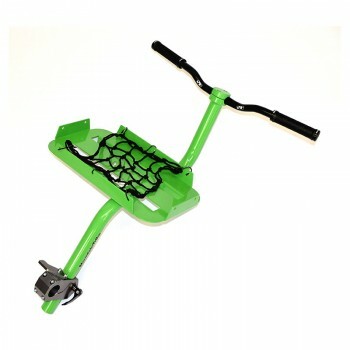 You will be able to enjoy the full experience of the outdoors while learning to use the Trike. Try and then you can arrange a purchase through Spokes'n Motion. These centers will also be able to offer full service and maintenance help for those you have a Trike and require assistance. Over the next months we will be announcing the opening of these centers and will advise these details. Please keep checking our website to see where these will be.